"I've been myself, I've been the same player ever since and before the fine. I haven't had any more fines so I can't understand why I had the first one." 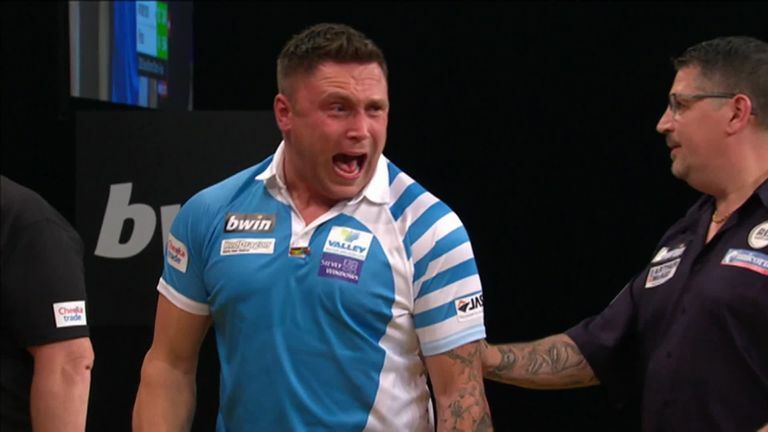 Gerwyn Price has revealed he is contesting his record fine imposed by the Darts Regulation Authority, in a candid interview on the Darts Show podcast. 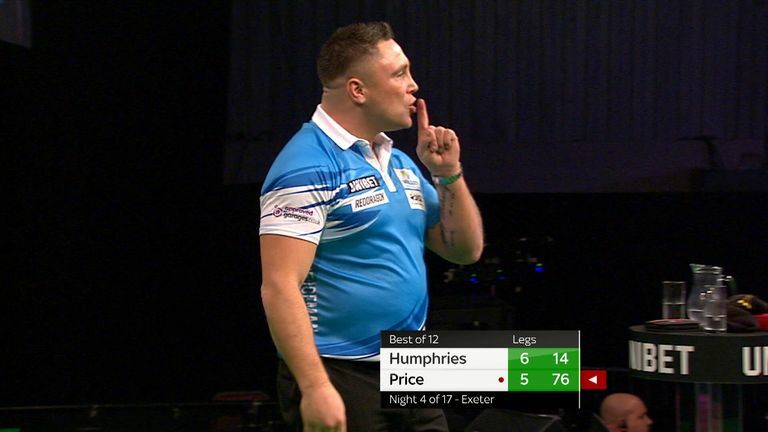 Price received a £21,500 fine and a suspended three-month ban for his conduct at the Grand Slam last November, which saw the Welshman defeat Gary Anderson in a dramatic showdown to lift his first major PDC title. However, Price's maiden televised triumph was marred by a number of flash points in the final and 'The Iceman' was found to be 'in breach' of DRA rules at a hearing in January. Sixteen-time world champion Phil Taylor was one of several stars to leap to Price's defence following the controversial verdict and Price told the Darts Show podcast that he was left 'shocked' by the subsequent fall-out. "I was shocked at what had happened, not only that I had a fine but that Gary [Anderson] had absolutely nothing," Price said. "Not just one player, not just Phil [Taylor] but every single player said that it was unfair, so it's something that has gone wrong there and obviously it's being dealt with by the right people now. "Hopefully it will get changed, but if not then I'm going to re-appeal again and it will go to the High Courts, so whatever happens will happen. "My appeal has gone in now, it went in two weeks ago so whatever the DRA come back with - even if I have a £1,000 fine I'm still going to be fighting that. "I don't think I deserve to have any fine at all, we were both on the oche; my game is always the same. "It's never changed and it's never going to change so I don't want a £1,000 fine, I don't even want a £100 fine," the 34-year-old added. The former Rugby star admitted he subconsciously became more reserved immediately after his fine was imposed, but he's since reverted to playing his natural game and has reaped the rewards. "After the Masters when I was in my shell a little bit, I thought I'm just going to be myself and whatever happens, happens. "I've been myself, I've been the same player ever since and before the fine. I haven't had any more fines so I don't understand why I had the first one." This week, Price makes his return to home soil as the Premier League roadshow rolls into Cardiff and the Welshman has his sights firmly set on securing a coveted play-off spot. 'The Iceman' is one of four players locked on 12 points and as he prepares to face World Championship finalist Michael Smith at the Motorpoint Arena on Thursday night, Price claimed that his homecoming could be a decisive moment in his season. "There's four of us on 12 points and I think this week for me is probably the most important," Price said. "Michael [Smith] is at the bottom of the group but he's only four points behind. "I keep on getting one point here and there which keeps putting pressure on me, but it's tough week in week out. This week is vital for me to get two points to ease the pressure over the coming weeks." Twelve months ago, Price suffered a chastening elimination on his Premier League debut - departing the tournament with just two points after failing to register a single victory. Nevertheless, the World No 7 has thrived on his return in 2019 and currently finds himself in fourth position with five weeks of the league phase remaining. Despite this, while Price has been competing against the world's best on a weekly basis, he's also been forced to contend with the boo boys throughout this year's Premier League, which he admits has been challenging. "It's not nice," he conceded. "You try and say it doesn't bother you and to a certain extent it didn't, but when you are going for vital doubles to win legs and to win matches, that's when it really hurts you. "I just stuck with it and didn't really interact with the crowd when they're booing because it can get a lot worse, so I've just let my darts do the talking. "I've played pretty well which helps, because if you're playing badly they'll get on top of you even more, but I've been playing well and winning games so that sort of keeps them quiet." Price, who won back-to-back Players Championship titles in February, has enjoyed a meteoric rise having come through PDC Qualifying School in 2014 following encouragement from his fellow countryman Barrie Bates. However, in less than five years as a professional, Price has established himself as a major champion and a Premier League regular, which he admits has surpassed his own expectations. "I think after winning my first Pro Tour and beating the players I was beating, I knew it was there somewhere and further on down the line the belief started to grow and then you start believing but at the beginning, not in my wildest dreams did I think I'd be where I am now. "I thought maybe I'd stick it out for a year or two and then end up going back to Rugby but I was playing against better players week in week out. "It made me play a lot better and improved me as a player. I'm not lucky to be where I am but I appreciate it to be honest with you." Nevertheless, with the business end of the Premier League season approaching, Price is firmly focused on securing a top four spot and he joked that he's got an extra incentive to do so. "Obviously short-term in the Premier League, I really want to get into the top four. It's nice to get in it but I've got a £100 bet with Andy Jenkins. "I want that £100 more than the £250,000 to be honest with you!"